Union Hall 100 Arlington Avenue 37210... 615-401-6133 ... Fax: 615-401-6135... March 2019 Regular Monthly Meeting Minutes posted under 'Member Resources' ... FY 2019 Pay Plans posted under 'Member Resources'... New Members for December 2018 are posted under "Member Resources"
web account & at the Union Hall office. The Nashville Fire Fighters Association Foundation will be hosting our 8th Annual Charity Golf Tournament on May 29, 2019 to benefit the NFFA Foundation Disaster Relief Fund. This year the tournament will be played at the Hermitage Golf Course General’s Retreat, 3939 Old Hickory Blvd, Old Hickory, TN 37138. Our Disaster Relief Fund was established in 2010 during the historic May flood to help our Brothers and Sisters whose lives were affected by the disaster. Since its inception, we have helped well over 100 of our Union Brothers and Sisters whose lives were negatively affected by disaster, injury or illness from all over the United States. The Nashville Fire Fighters Association Foundation, a 501-(c)(3) non-profit charitable foundation with the IRS and the State of Tennessee, was created to help expand our ability to raise funds for the many charities that we support. Here is our 2017 Operation Warm video! to the Nashville Fire Fighters Association Foundation. proceeds from purchases will go to the Nashville Fire Fighters Association Foundation. After you log in to your Amazon account, the NFFA Foundation will be added as your designated charity. Please share with your friends and family. Access your IAFF membership card 24/7 directly on the IAFF Frontline app! Just log in and your membership card is always in your pocket - no need to find or look up your member ID to register for IAFF events or receive union member discounts. Available for both iOS and Android users, the membership card feature applies to any active member or retired active member (separate membership cards for Alumni are in development). When you log into the Frontline app, the membership card icon appears at the bottom of your screen. 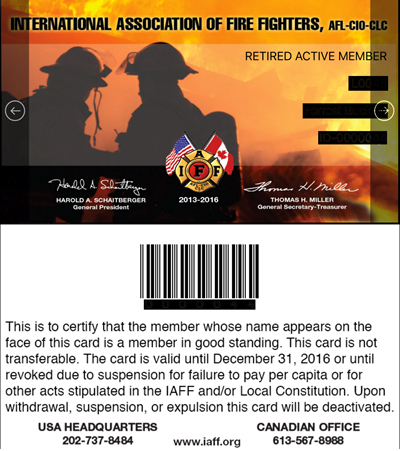 Click the icon to display your card and your membership status, name, local and IAFF member number. Don't have the IAFF Frontline app? Download it to your device from the Apple App Store and Google Play Store. 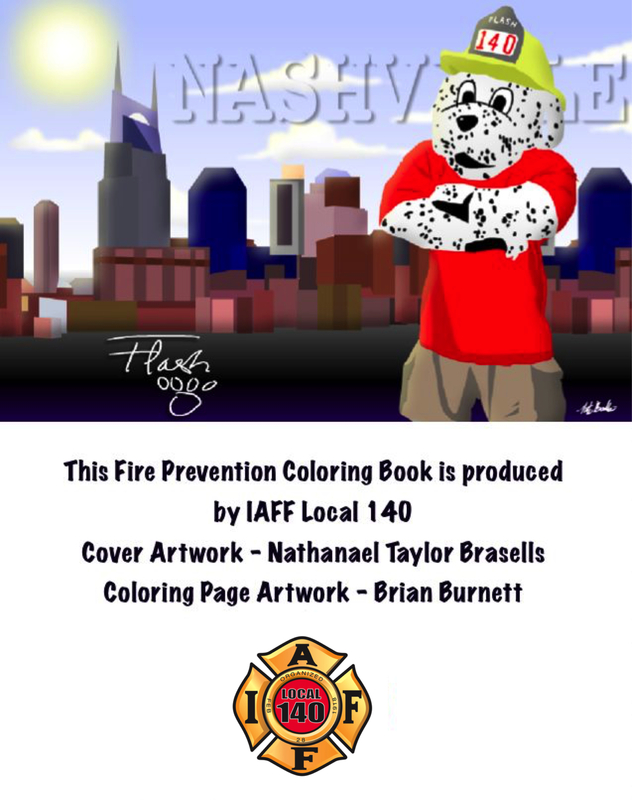 Click on the cover of FLASH's Fire Prevention coloring book and you will be taken to an all inclusive online Prezi presentation ... a digital version of his coloring book ... use it solo or in combination with his coloring book! Outside actuaries presented their findings (click here to for link to presentation) to the Metro benefit board that only helps our argument that the pension is well funded and no need for change for new employees. up with Operation Warm to change that! Won't you help? *You can check out the data here. *You can learn more about the source here. Local 140 called to ask them to purchase a ticket to a concert, please let them know it's legitimate! of IAFF license plates goes to the TPFFA fund? Is it time to renew your plates? Please consider making it an IAFF plate!